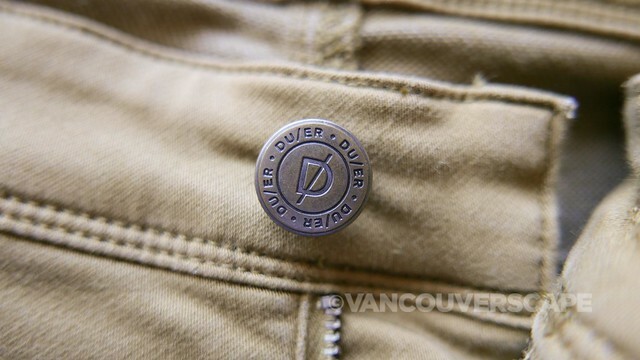 Vancouver-based Dish & DUER recently expanded their Gastown store to meet high levels of demand. 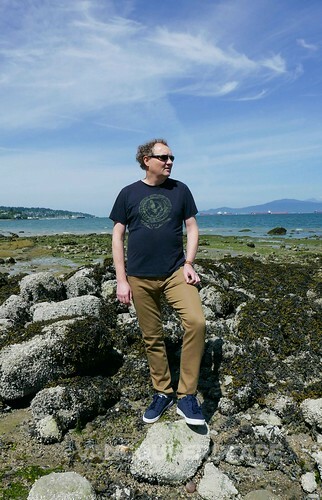 Company founder/CEO Gary Lenett has realized his goal of creating a performance denim that’s moisture-wicking, breathable and easily transitional from cycling to office, due to its comfortable, sustainable, cotton-rich fabric and construction. 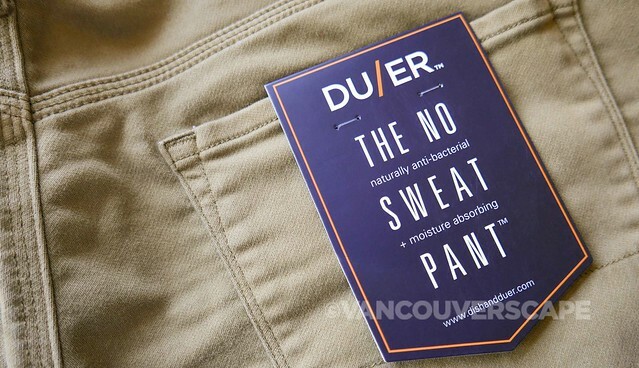 While Dish is their legacy brand, DU|ER came into the picture a few years ago, translating to “all that you can do in a day”. The company’s proprietary Live Lite fabric blends tencel, spandex, polyester and cotton for ultimate comfort in their denim line. I’d never experienced temperature-controlled denim until now and have been digging their super-comfy Straight & Narrow jeans, Dish’s best-selling women’s product. Dish designer Andrea Wong was brought in to revamp the line, adding movement and sustainability to the original product line. She has a traditional denim background with experience creating pieces that have the worn-in look. Wong works closely with Product Development Manager Lucia Floreano, in charge of executing all the denim washes in the collection. The entire team sits in the back of the store. Their desks are visible through a series of ropes leading to the indoor playground that Dish & DU|ER have created to allow customers to test out jeans on a stationery bike, wall-climber, monkey bars or via a stretch on rubberized floor mats. This definitely beats just sitting down on a chair in the dressing room (there are no chairs in there by the way). Our model’s wearing the ultra-soft, slim-fit No Sweat Pant in Tobacco, made with tencel, helping to prevent colour fade, adding a natural anti-bacteria component — and breathability. 1% spandex adds a bit of flexibility too. Right from the very first wear, he noticed how easy-going, flexible and comfy they are! The colour we picked goes great with so many colours too (especially dark blues, black and white). 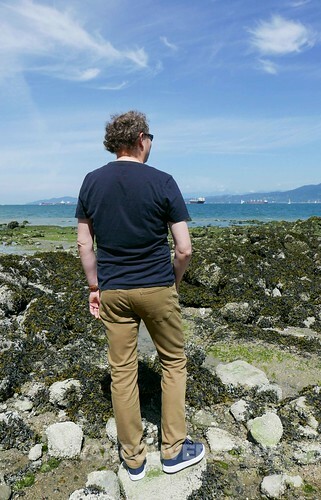 The No Sweat Pant is also available in gull (charcoal grey), black, navy, rust, army green, dark aqua, khaki and olive and is part of a collection that includes Relaxed, Slim and Jogger styles. 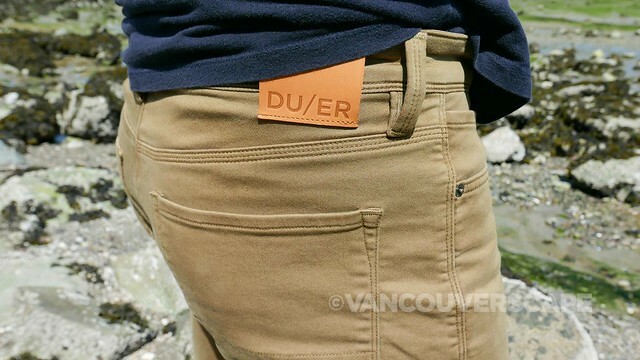 Although Dish & DU|ER’s athleisure line contains a larger percentage of men’s clothes, the newly-launched DU|ER women’s line is ready to expand. 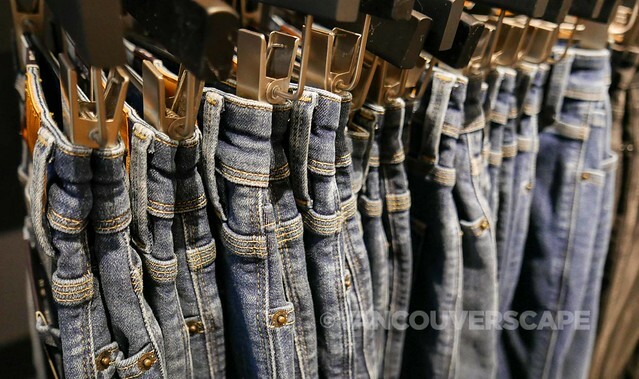 The design team is also transitioning from skinny jeans towards wider legs. 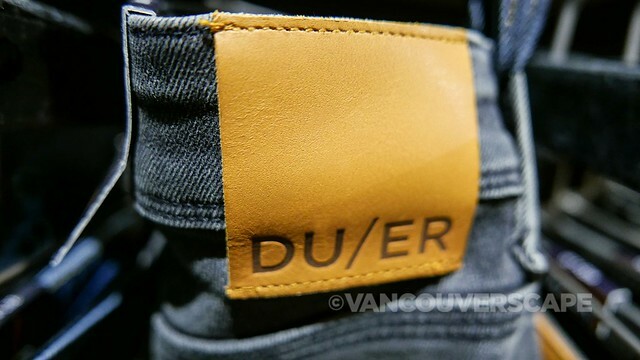 Find Dish & DU|ER at 118 West Hastings Street in Vancouver. Their products are also available at Plum Clothing, EcoMarine Paddlesport on Granville Island, MEC on Broadway and other stores. Check the website for details.